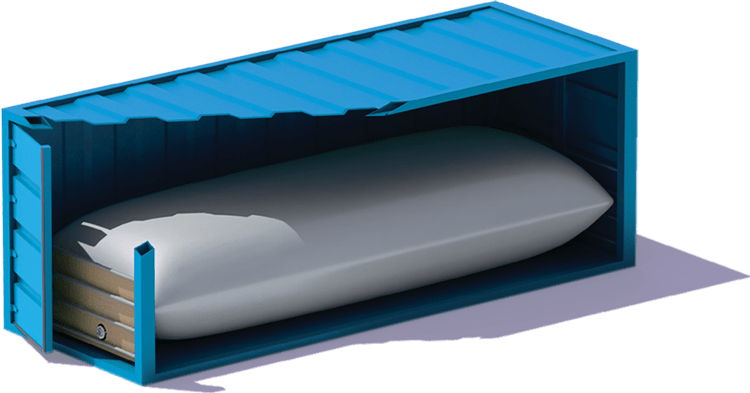 A Flexitank is a bag made of PE, designed to fit inside a 20ft container and used for the transportation of non-hazardous bulk liquid products. A Flexitank can be used for storage, either temporary or even as an alternative to a permanent storage tank. Flexitanks have been used worldwide for many years; however, there has been an unprecedented growth in usage since 2000. Shamrock Shipping and Trading was one of the pioneers in arranging base oil shipments by Flexitank and offering new logistics solutions to our partners. Shamrock is the global leader in base oil supply and distribution by Flexitank.